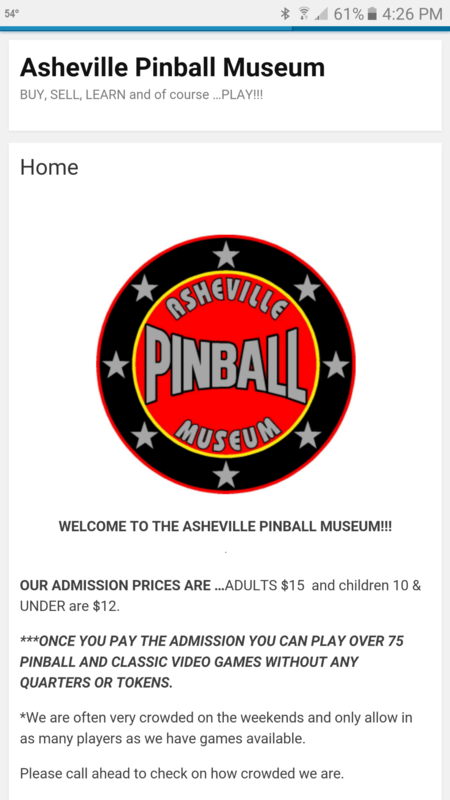 » Forum » Events & locations » Locations to play » Asheville pinball museum lately? 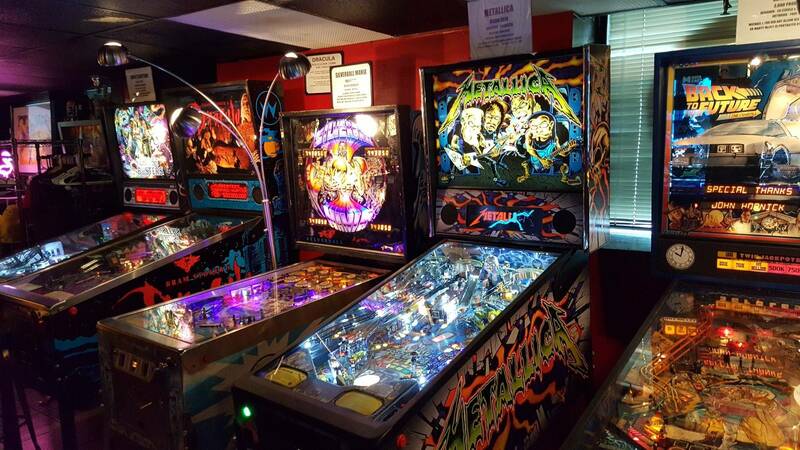 » Asheville pinball museum lately? I searched the forum for this, but the most recent posts were about 7 months ago. Has anyone checked out the museum lately? I saw it had very mixed reviews a while back. I've never been myself and was wondering if it's worth the trip. I'd be driving from Knoxville TN. 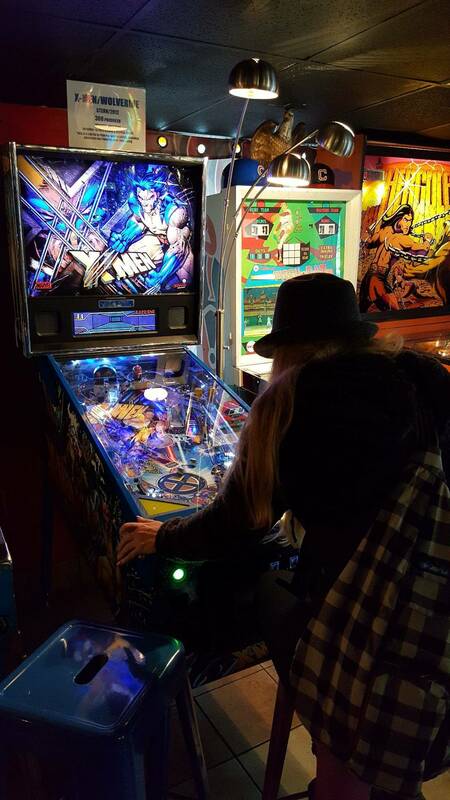 As of last week I think JC had nearly 100 machines in stock, he keeps about 40 playable ones in the play areas at all times. It's really hard to get in on a weekend now. Weekends are by far the most crowded. If you go on a Saturday I would recommend being there when it opens, even then you may have to wait, they only let about 40 people in at a time, so then everyone inside can be playing and not waiting. Don't expect collector quality pins, but for the most part they are working and he typically has a wide assortment. A buddy of mine was there a couple months back and had a great time. Large selection of pins and he brought me a refrigerator magnet back! I'd definitely check it out if you are in the area. Just taking a break to get some pizza and wine across the street. Place is great! Games play nice. 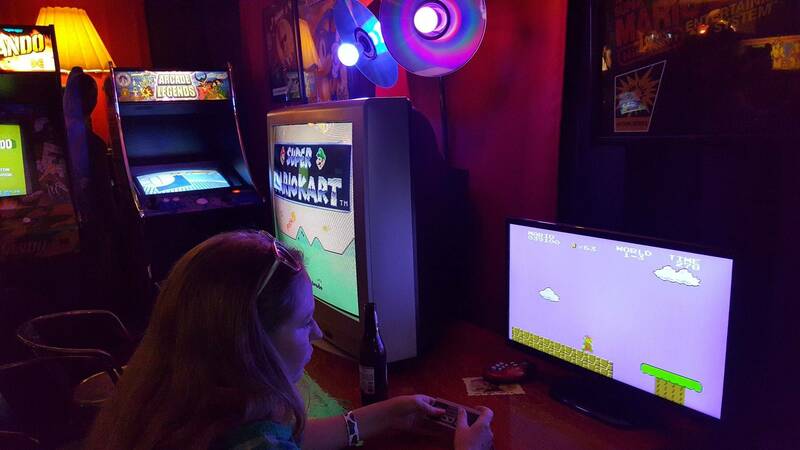 Lots of classic arcade games too. Staff was very attentive, though I didn't see even a stuck ball. The games all played nicely. I even enjoyed a few video games like Missile Command and the Star Wars sit in cockpit. The decor was also top notch geek. 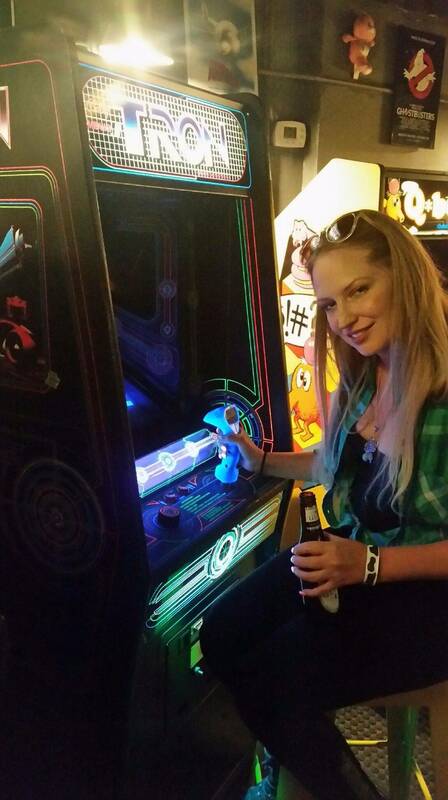 The one problem I found was there seemed to be good looking girls everywhere drinking beers and hogging the games. Very cool place. Was there last November. 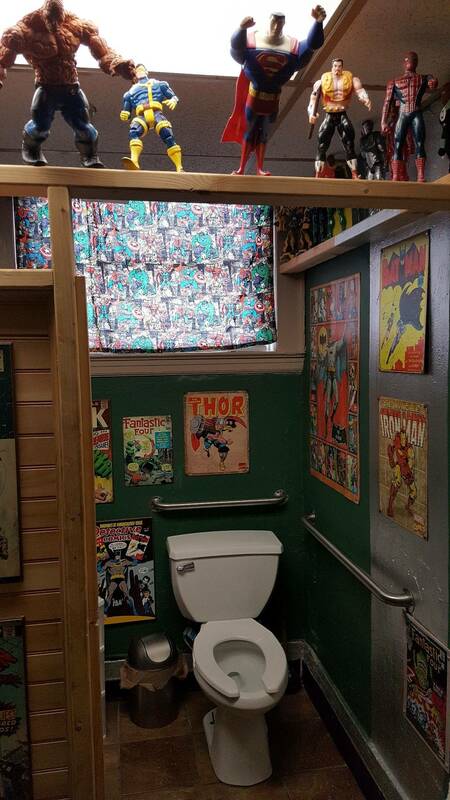 The coolest bathroom in the world for sure. 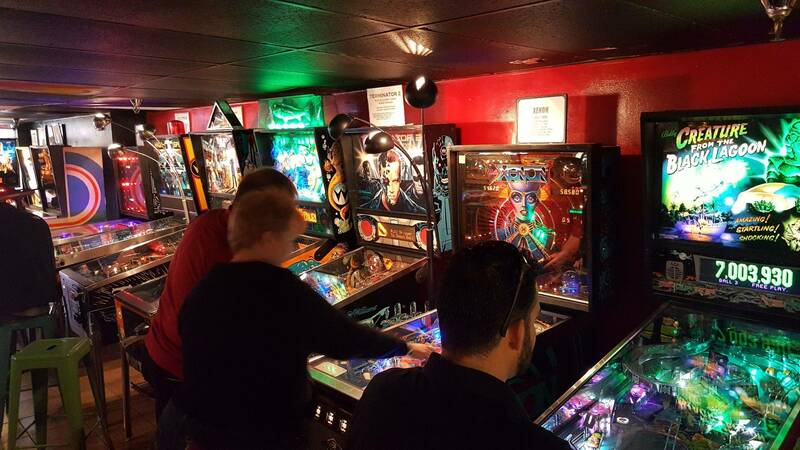 I didn't have time to visit the Asheville Pinball Museum during the NNAPT (Nic's North American Pinball Tour)... partly due to rumors over the past few years about the games being in so-so condition. Have they improved? I'm going to pay them a visit soon. Perhaps in a month or so. There 2 weeks ago, live nearby so I've been several times. But this was the first time back in over a year. Currently the best I've seen it. Sorry, not an EM guy so pretty much ignored them, but TC has a large collection. More new Sterns than in the past: GB pro, GOT pro, Kiss, MET pro, IM, SM. B/W included CFTBL, FH, STTNG, TZ, FT. 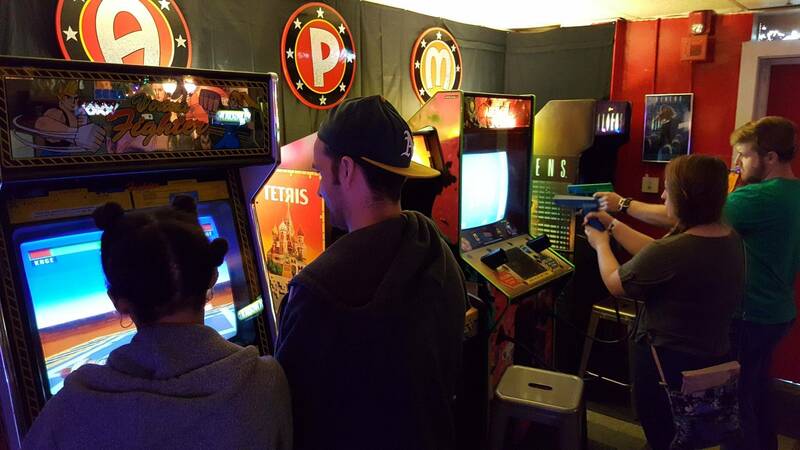 Plenty of older games: Pinbit, Star Wars, Barbwire, Taxi, etc. 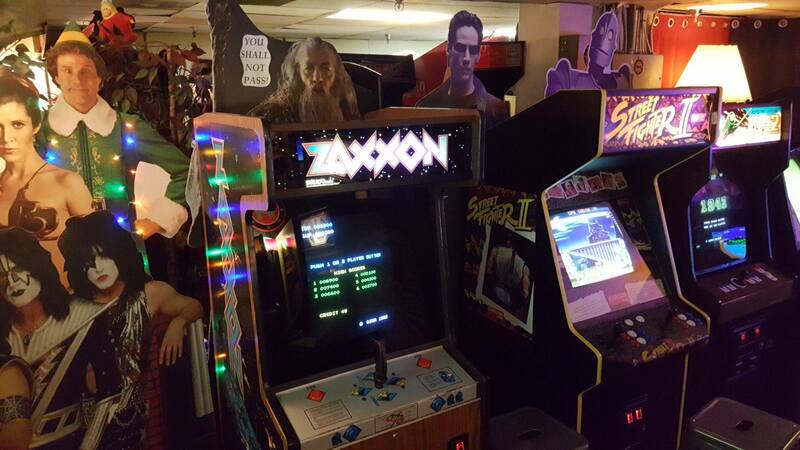 2 back rooms full of the classic video games, a couple of shooter games. Conditions of the games were better than ever in the past. Had 3-4 staff constantly circling through the game areas, I notified them of a few issues, mostly they helped take care of stuck balls, etc. STTNG alpha ramp did not register but otherwise everything worked well on the games I played. As I have advised before I would avoid weekends, but if that's the only option get there at least a half hour before they open. 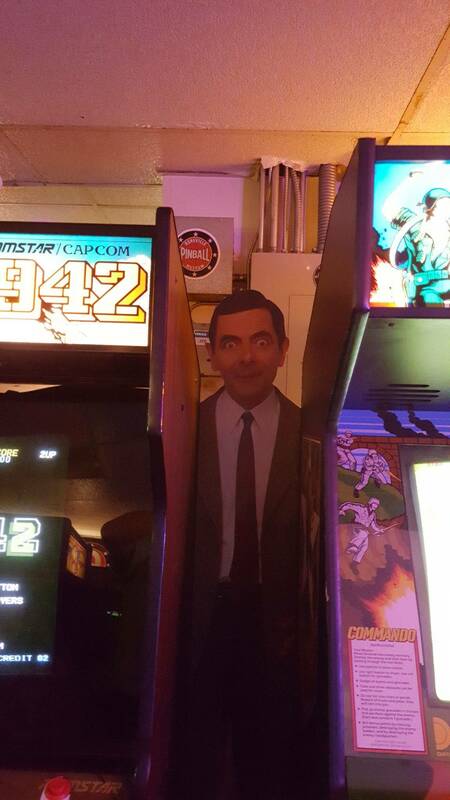 Once the arcade is full they stop entry until players leave, so you could literally wait for hrs. Last time I went on a Wednesday and got there 15 mins before opening, but after about an hour they were full and had a waiting list. They are not open on Tuesday (repairs day). But by controlling the crowds this way you will always have plenty of play options. Can easily spend 4-5 hours or more there. I just went to the Asheville Pinball Museum this past Friday (04/20/2018). I wanted to share my opinions about the place and the conditions of the machines. There was very little people inside, on that Friday afternoon, which gave me a chance to try and play most of the pinball machines. 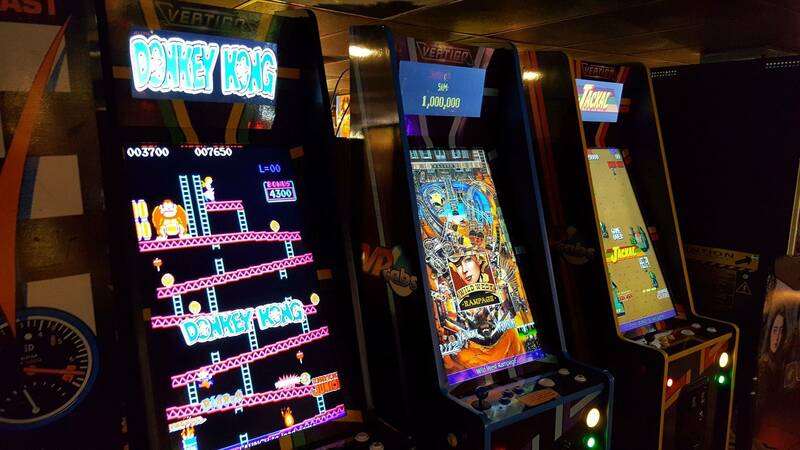 Although there are quite a few old timer video games I have no interest for these and just played a game of Pac-Man to relive the good old times. 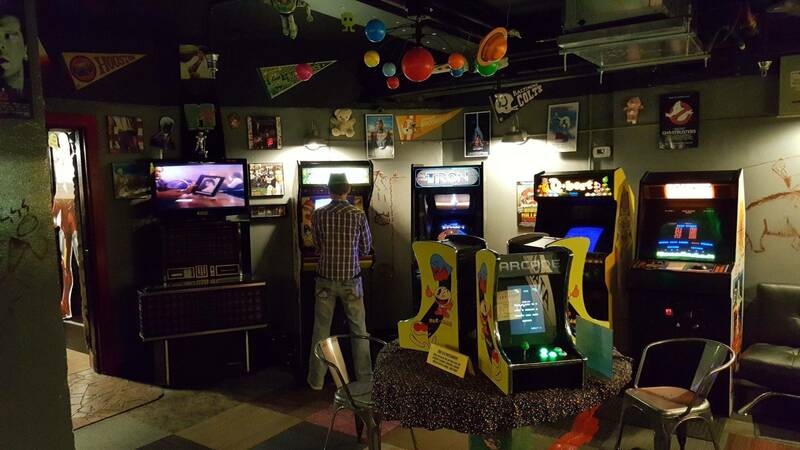 The museum has modern pinballs (DMD) and mid-seventies/Early-eighties machines. There are a few mechanical pinballs, too. 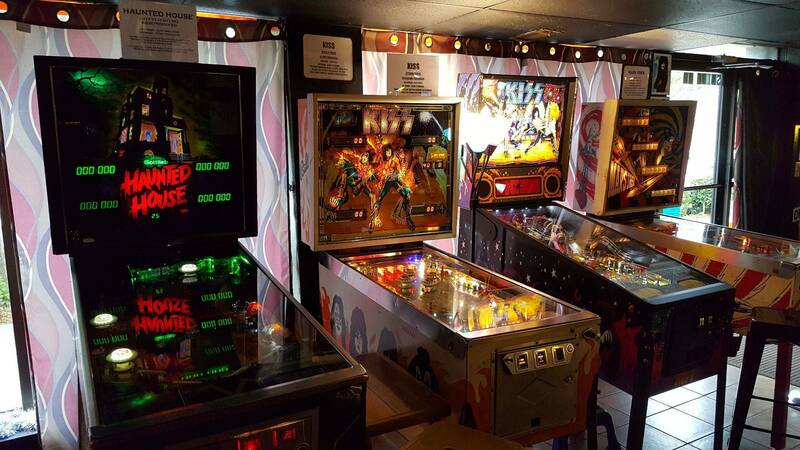 Before I say anything else about this location, let me be specific about my expectations: I am a pinball collector, grew up with these machines, have currently four at home in pristine condition and love a challenging game. Well, the Asheville Pinball Museum does not offer any, or very little of what I was looking for. Very disappointing overall. I only stayed 1.5 hours in it. Most machines are poorly maintained, with half of the lights burnt or not working. The Bally Eight Ball near the entrance door is almost impossible to play due to the light coming through the door (blinding you) and most of the playfield bulbs not working. Some machines have very weak flippers and one of them was not even working. A lot of the displays (Bally mostly) are weak or shot. They should be replaced by LEDs if no spare can be found. My biggest issue was the slanting of the pinball machine or to be more precise, the absence of it. 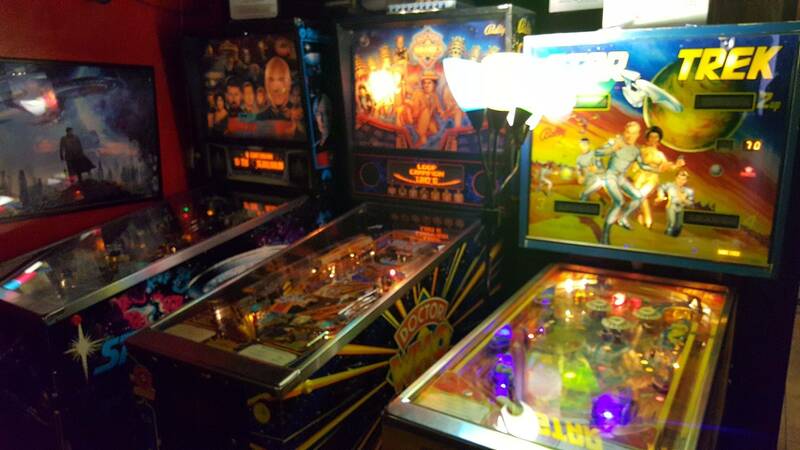 I love a fast pinball machine and cannot stand an almost horizontal playfield. In some cases, the ball would barely move especially in the upper part of the playfield. 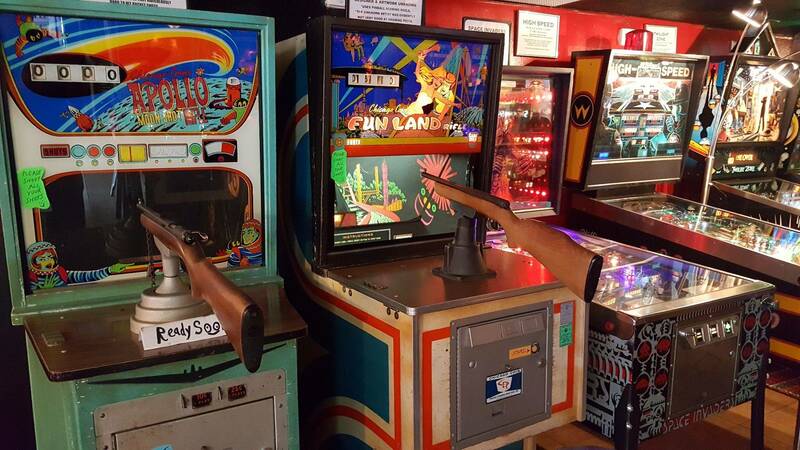 I suppose this is done intentionally to reduce the speed of the game and the wear on the playfield and bumpers.... but how boring....!!! The Museum allowed me to try a few machines that I was considering purchasing in the future an eliminate a few as well. Silverball Mania would be a good candidate whereas the poor Eight Ball will likely get bumped out of my list. There is an old Gottlieb Buccaneer which has been poorly repainted and is unfortunately not in a very good condition for playing. The Bally Air Aces was a lot more interesting. 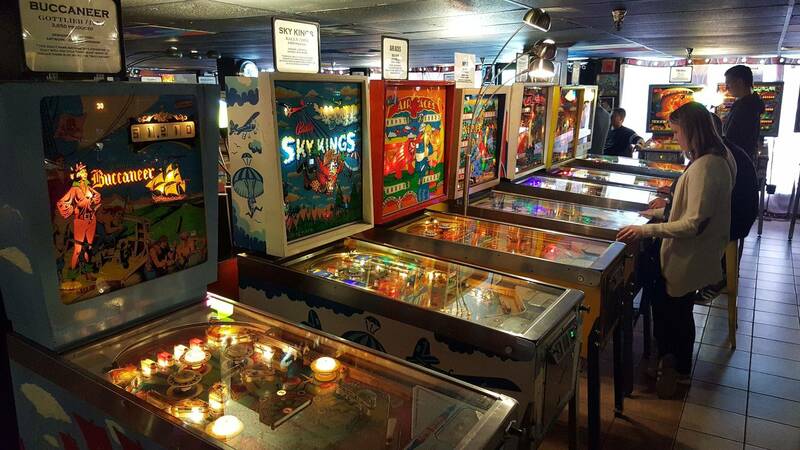 Incidentally, there is an article about the Asheville Pinball museum in one of the most recent issue of NC Home magazine and after reading the article, I better understand the essence of the "museum". 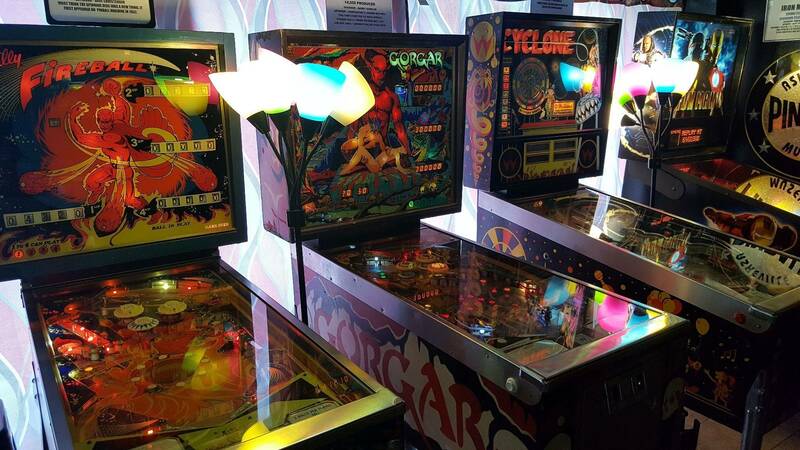 The owner collects old pinball but no attempt at improving them or repairing them is made. They are all in their original condition....whatever that may mean. The modern DMD pinball machines are all perfect but they do not present much interest to me and I did not spend much time on them: Listening to a computer generates noises, screeches and screams, while waiting for a ball stuck in some plastic gear, is not what I enjoy doing. 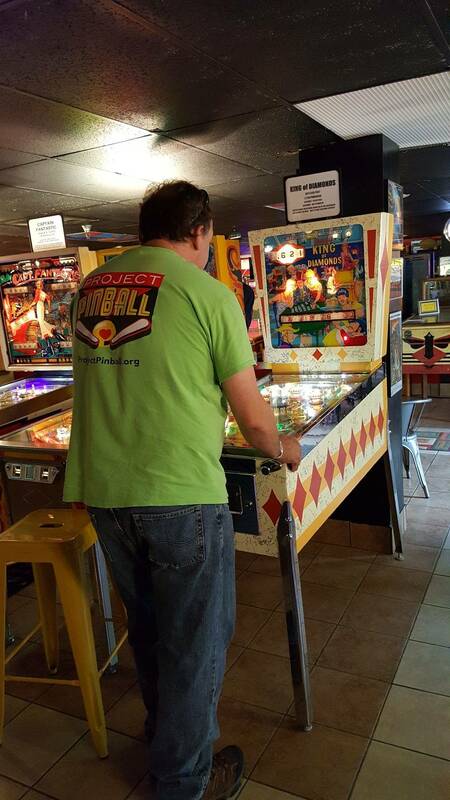 I had the opportunity and pleasure to go to Delray Beach pinball museum and had a blast there. The two places are diagonally opposed and cannot compare. I was also let down when I went a few months ago, lots of simple things like bulbs needing replacement. Until they actually do repair work, I won't be returning. Sad! I just saw a blurb on MSNBC about them. it was short and didn't go in to detail, but they're getting press. I went a few years ago and never went back. I wanted so badly to open a few games and make fixes. One of the machines had a plastic floating around the playfield. The Creature had a dead left flipper. Such a cool place should of had someone roving around making repairs. I'm guessing Wednesdays after they repair the games would be the best time to go. Sorry to read these recent comments. I live 20 mins from there and go about once a year. The last time I went was a year ago and I was actually impressed with how much the support staff was checking the machines and how well they were maintained. I noticed one switch not working on a STTNG and I pointed it out to the staff and they made a note for the repair guy to fix it. So these comments really surprise me. Whenever I drive by or walk by it seems to still be quite busy. I know TC opened a second location in Hendersonville a few months ago but I thought he had someone else doing the on site management so that he could stay on site in Asheville. Hope they get things turned around. Owner is a nice guy and the downtown area has really supported the business.